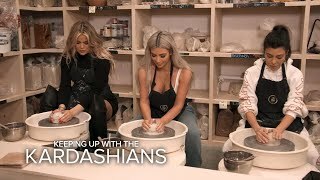 Keeping Up With the Kardashians | Brand New Sundays 9/8c | E! KUWTK | Khloe & Kim Kardashian Go on Food Binge Before Diet | E! KUWTK | Kim Kardashian Gets Pranked By Kourtney & Khloé While She Naps | E!